The DVD contains 10 Chapters of different effects. Use your remote to CHOOSE and REPEAT the chapter, just like most any DVD. The Christmas Elves scenes uses actors who had the RIGHT look either facially or bodily, who...with Elf Ears would create a usable Christmas elf. 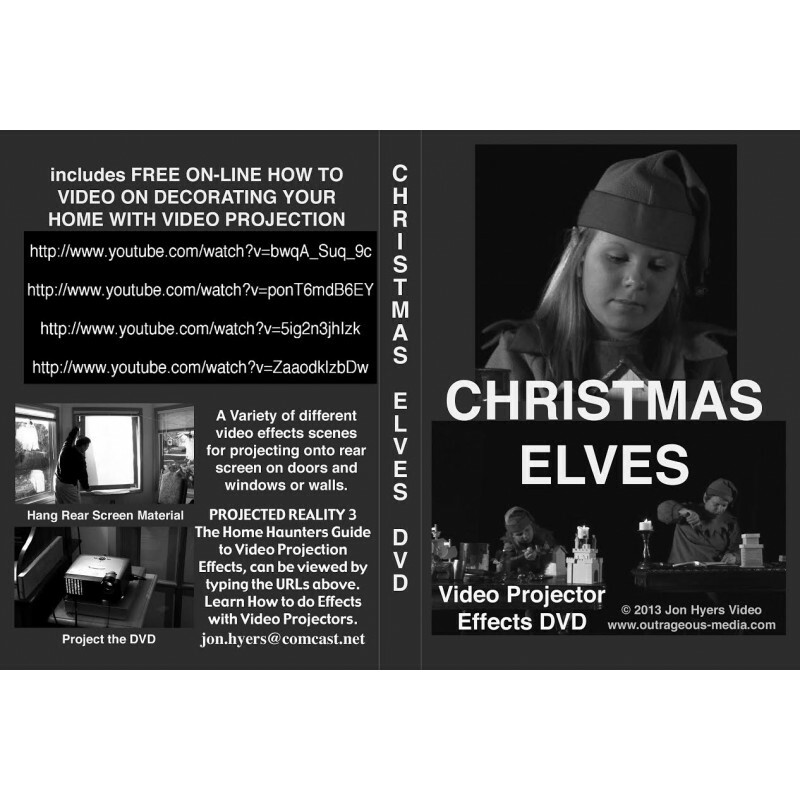 With Jon Hyers well-known realistic lighting skills, actual Elf Costumes used in a few Hollywood films- this DVD will allow someone who wants Elves in their windows to put on a reasonable display. Elves paint toys, build toys, two in a shot, one in other shots, they walk with toys, and stand and wave out the window. An important fact: The Jon Hyers collection of Halloween and Christmas DVDs are used, NOT like watching TV, close-up. But instead are viewed from the street and sidewalk in front of a house, often from 50-100 feet away. For this reason, fine details such as, "did we really use REAL elves" does not matter, because such fine details cannot be seen at a distance. VERY POPULAR ITEM.